My friend Christine Hill was kind enough to stop by today and share with us some of her fantastic interior design tips for mountain homes. My home is in the mountain west and I love it. The jagged peaks create a dramatic background to just about every view. I love hiking. I love the way that you can just drive 20 minutes out of town and find yourself in an isolated haven of natural beauty, and I love the winter sports: snowboarding, snowshoeing, and cross-country skiing. I’m not the only one who loves mountain living either. People are flocking to the great mountain west in droves. That’s one of the reasons that Colorado’s housing market is so strong, as this article illustrates. 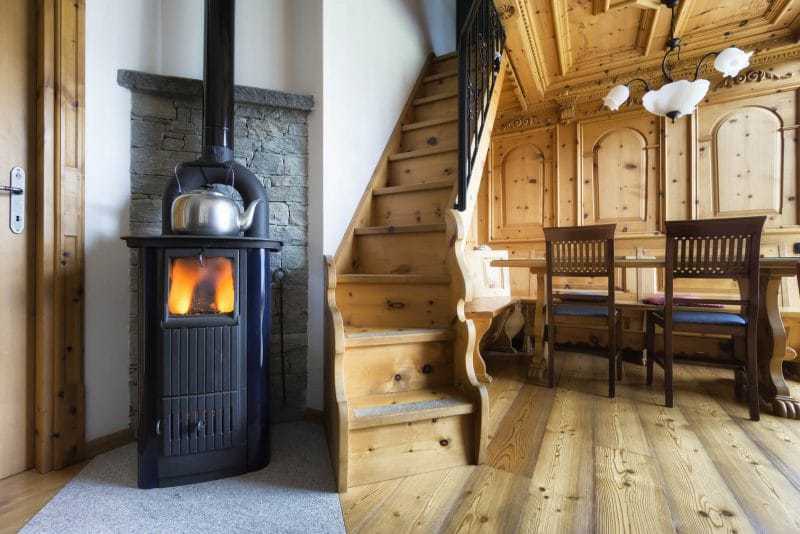 However, there is one possible drawback to life in the mountains: because of chilly winter weather and early sunsets, you might find yourself spending a lot more time indoors. That’s why contemporary mountain home design elements seek to make your time spent inside just as precious. Traditional mountain homes, or “lodge living” might make you think of dark, oppressive colors and small spaces, a natural result of difficult temperatures and limited access to supplies. However, modern technology, along with modern design principles, have now been mixed into the aesthetic to make the most of your space and your environment in the mountains. 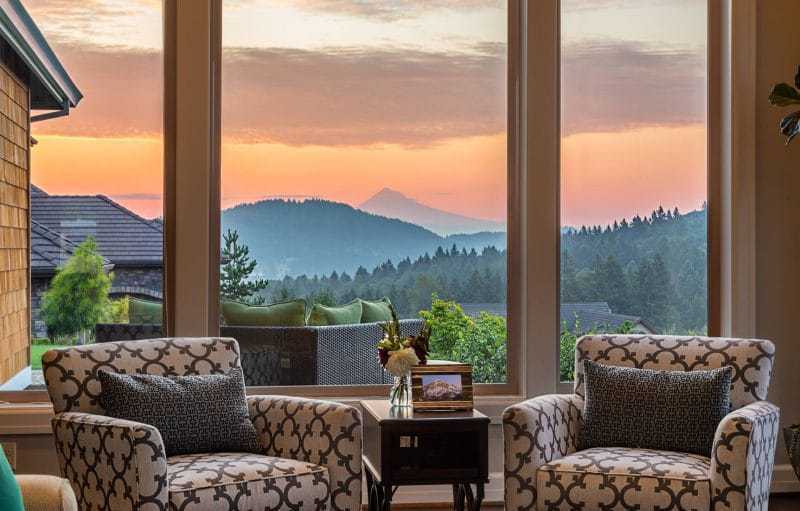 Here are some interior design elements that you can think about incorporating into your mountain home if you want to bring a little bit of what you love indoors. Create a stacked stone wall feature on one side of the living room. Keep the wooden floorboards and wooden rafters exposed. Make sure that they’re well-maintained in order to make them a feature instead of looking unfinished. Use natural wood for your furniture. Perhaps make a statement with a coffee table made of a polished disk carved straight from the trunk of a tree, showing the rings that chart the years that created the landscape that surrounds your home. Add rustic-looking log accents to angles in your home. 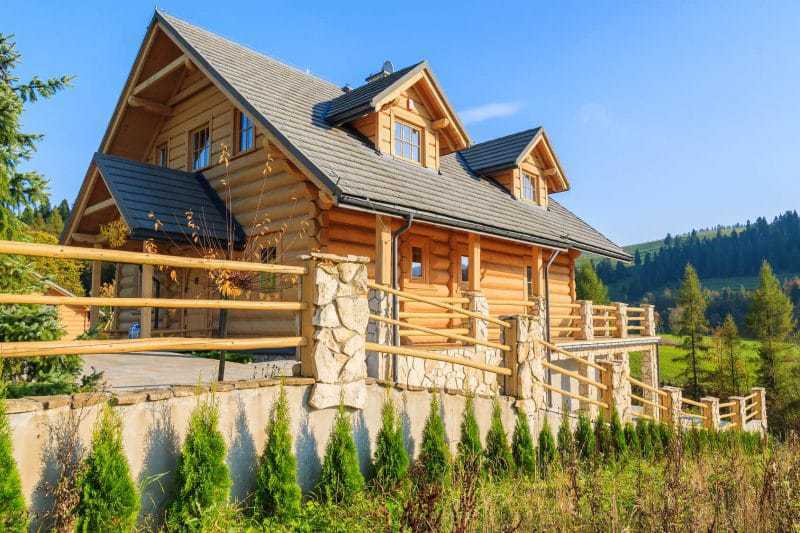 Even if they’re not strictly functional, they’ll give your house the feeling of a home-built cabin. Use a wooden garage door, perhaps with an old-fashioned carriage door design. This will make a beautiful offset if you have a stonework facade. Traditional mountain cabins often featured dramatically slanted ceilings in order to slough off the weight of piled-up snow. Because of that, dramatic lines are right at home in a modern mountain home. Modern mountain architecture might incorporate elements from modern American architecture, or even bauhaus style. Combining vaulted ceilings with loft rooms allows you to expose the bones of the building and enjoy the creatively constructed frame of the house from the inside. Accentuate your high ceilings by creating vertical wall decorations, and using smart lighting. Open floor plans perfectly complement high ceilings. The actual structure of your main living spaces can be largely determined by your furniture arrangements. As an added bonus, you can rearrange your furniture when winter restlessness sets in and make your open space feel like an entirely new home. Open floor plans allow you to feel unfettered and free even when you haven’t had as much time outside as you would like. Why live somewhere with beautiful views if you can never enjoy them? 100 years ago, large windows were outrageously impractical. Even a decade or so ago, windows were an energy-drain, since they weren’t as well insulated as the walls. However, modern technology makes large windows completely do-able, even in cold temperatures. Make sure that you have the newest options to keep the windows insulated as well as possible. Windows can make or break a mountain home. Make the most of your majestic views. Open windows and large double doors are especially well-suited to modern design and open floor plans. With such an open floor plan, with wide windows and tall ceilings, how can you accomplish a nice, cozy feeling when you and the family are all warming up after a round of sledding? The answer is lighting! An open floor plan during the day can gain layers and atmosphere with the proper lighting in the evening. Consider lighting set at eye level and lower in order to create a cozy feeling. Add accent lighting in corners of the room and make sure that there are high-light areas and low-light areas. These high-light and low-light areas work together to create a feeling of texture and variety. 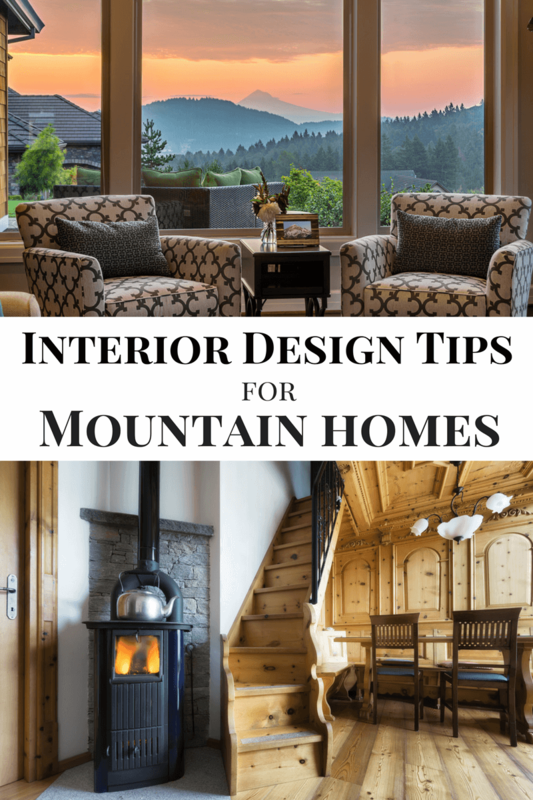 I hope that you enjoyed these interior design tips for mountain homes. Let us know in the comments below if you have any additional design tips that would be perfect for mountain homes. Good article and nice pics. My mountain views come from when we go camping up there in the Rockies. THis is a great article with important information. I especially love the oversized windows and doors.